Kevin attended Trinity College Dublin from 2000 to 2004 earning a BA. mod. in Geology. From 2004 to 2007 he worked as an exploration geologist, in Ireland and Mongolia exploring for gold, copper, zinc, and coal across a spectrum of deposit styles. Kevin joined the MDRU in January 2007 enrolling in the masters with thesis program. Kevin's MSc thesis was on the genesis of the Southwest Zone breccia-centered alkalic porphyry copper-gold system at Galore Creek northwest BC. In 2009, Kevin started working for Teck in the BC copper generative team. 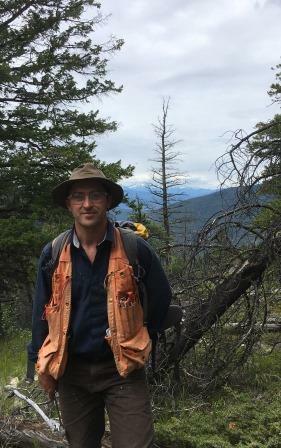 From 2012, until starting PhD studies at the University of Alberta in January 2015, he was the technical lead for exploration and some resource initiatives at the Highland Valley porphyry copper district in south central BC. Thesis aims are to define the lithogeochemical, copper occurrence, and the carbon and oxygen isotope footprints around the porphyry copper deposits at Highland Valley. This includes mapping and characterizing the distribution of sodic-calcic alteration as well as fingerprinting its fluid source and genesis. Ultimately this study aims to better understand the processes by which the hydrothermal footprints formed, and develop exploration tools and methodologies that are exportable to other porphyry copper deposit districts.